SITUATED IN THE PROTECTED Lambazi Bay (Port Grosvenor) on the remote and spectacular Wild Coast, this Lodge offers the ultimate in remote beach getaways. Built within a Greenfire concession that stretches from Port St Johns in the south to Mkambati Nature Reserve in the north, an untouched and very dramatic stretch of coastline, this Greenfire Lodge offers the outdoor enthusiast / family a unique world of exploring opportunities. The surrounding area offers unbeatable hiking, mountain biking, canoeing, surfing, angling, village visits and much more. The sandstone shelves of Luphuthana and the unique Waterfall Bluff and Cathedral Rock are within walking distance. We look forward to ensuring that your stay on the Wild Coast is most relaxing. 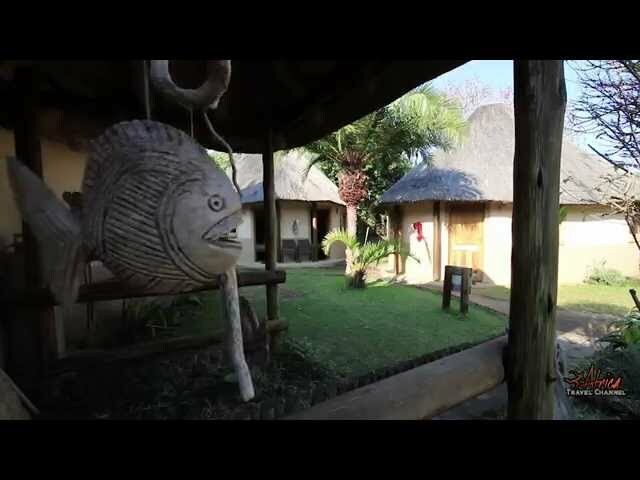 The Lodge itself is comprised of traditional rondawels accommodating a maximum of 24 guests in twin bedded en-suite rooms. A large thatch boma covering a kitchen, lounge and dining area leads onto a viewing deck overlooking the pristine beach. The entire Lodge is hidden in a grove of indigenous coastal Milkwood trees which offer protection from the wind and sun. Facilities are rustic but comfortable and encourage a relaxed beach holiday.